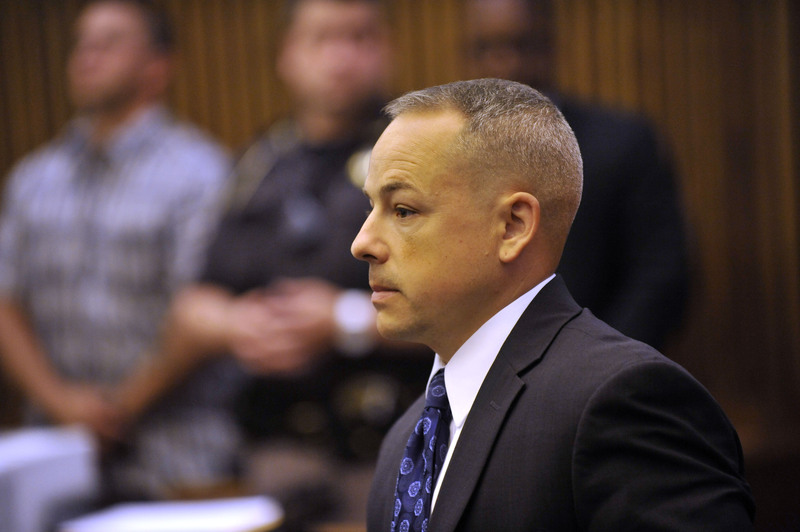 (CBS/AP) DETROIT - A judge has declared a mistrial after jurors failed to reach a verdict in the trial of Joseph Weekley, a Detroit police officer, who fatally shot 7-year-old Aiyana Stanley-Jones during a 2010 police raid. Wayne County Judge Cynthia Gray Hathaway dismissed jurors about an hour after urging them to keep working Tuesday. The jury sent three notes, the last one indicating it still couldn't reach a unanimous verdict on the third day of deliberations. Weekley was charged with involuntary manslaughter. He accidentally fired his gun, killing Aiyana, while leading officers on a raid to find a murder suspect in 2010. He said he pulled the trigger during a struggle with the girl's grandmother, but Mertilla Jones denied interfering with the gun and another officer testified there was no struggle over the weapon. The raid was recorded for a police reality TV show, "The First 48," and Aiyana's family members have said they believe the officers involved were more concerned about how they appeared on TV rather than properly conducting their police work. A retrial date has not been set. A pre-trial hearing is scheduled for July 25.